This very rare custom handmade Thad Buchanan knife is 1 of 10. It is a very early Buchanan which DeSantis designed in collaboration with Buchanan. 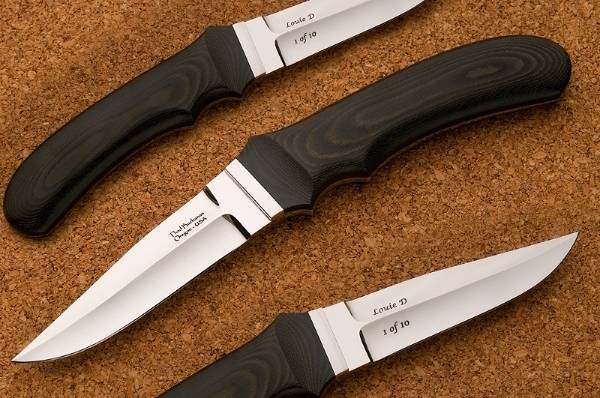 Hence called the Louie D. The handle material is black micarta and the blade material is ATS-34. A must have for any Thad Buchanan enthusiast. Included are two sheaths supplied by Thad Buchanan and one sheath custom made by Bob Dozier.